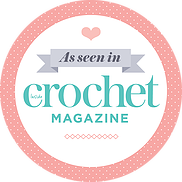 Having trouble finding a pattern for a crocheted gift for someone? Most likely they drink some sort of hot drink! 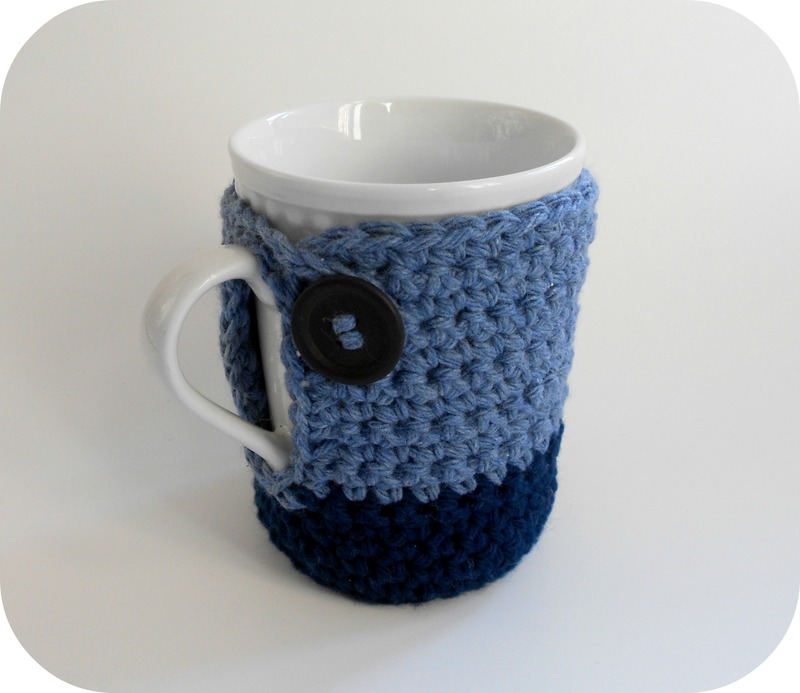 Make them a quick and simple mug cozy that keeps the mug warm, acts as a built in coaster, and makes the mug look unique (and cozy!). For my tea loving sister-in-law and coffee loving dad, I made them each a mug cozy using the free pattern designed by Anna of Crochet N Play Designs. 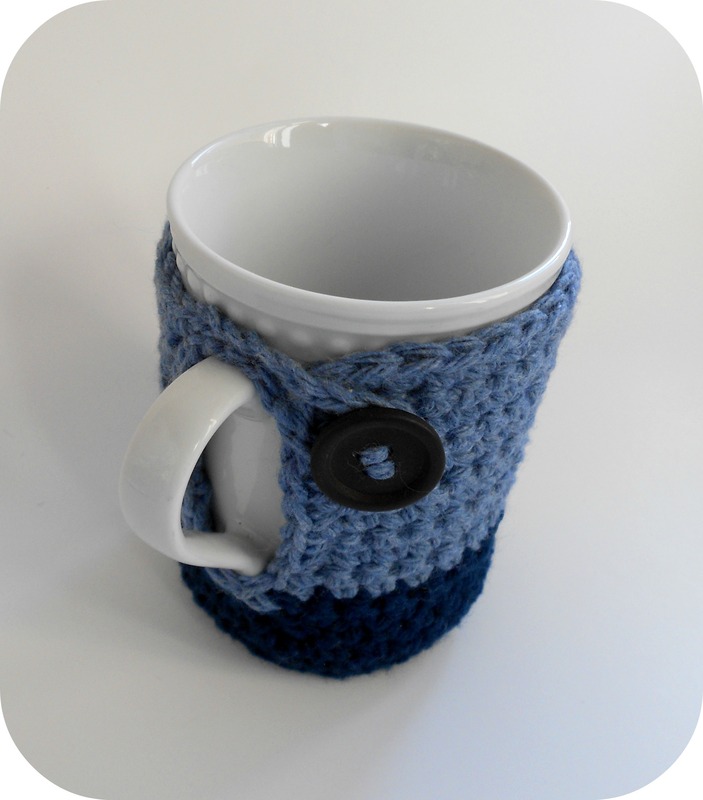 My father can be hard to find a gift for, and finding him something to crochet is even more tricky, but he actually requested one of these mug cozies after seeing the one I made my sister-in-law! For my father’s mug (the one seen in the photos) I used Bernat Handicrafter cotton in Classic Navy (13110) and Blue Jeans (13116). I recommend sticking with a machine washable yarn in case you get some of your tea or coffee on the cozy (or, if you are me, WHEN you get some on the cozy). I did need to alter the pattern slightly to fit the mugs I chose. My mugs were not the average shape. The main adjustment I made was adding decreases when crocheting along the opening of the handle. Without the decreases, the cozy splayed open when unbuttoned, and when buttoned there were major bulges at the handle. By adding the decreases, the opening hugged more nicely around the handle. My favourite thing about the cozy? The button! I think it adds so much to the whole design, giving it a very cute handmade look.